Product prices and availability are accurate as of 2019-04-25 22:36:52 EDT and are subject to change. Any price and availability information displayed on http://www.amazon.com/ at the time of purchase will apply to the purchase of this product. 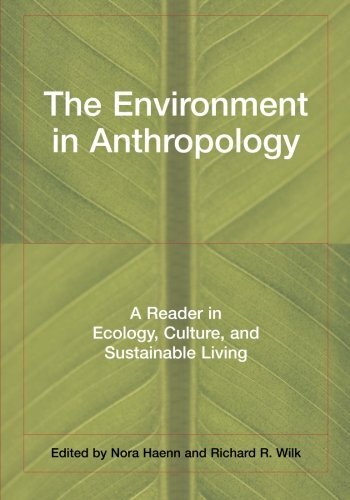 The Environment in Anthropology presents ecology and current environmental studies from an anthropological point of view. From the classics to the most current scholarship, this book connects the theory and practice in environment and anthropology, giving readers a strong intellectual foundation as well as offering practical tools for solving environmental problems. 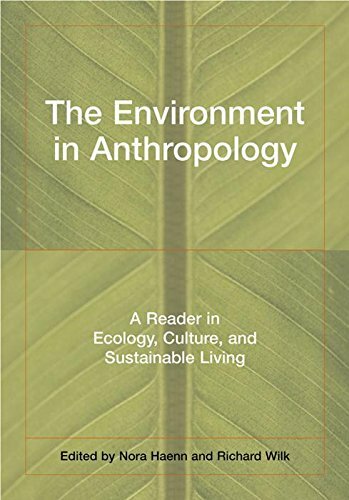 Haenn and Wilk pose the most urgent questions of environmental protection: How are environmental problems mediated by cultural values? What are the environmental effects of urbanization? When do environmentalists get in conflict with indigenous peoples? How can we assess the impact of 'environmentally correct' businesses such as the Body Shop? They also cover the fundamental topics of population growth, large scale development, biodiversity conservation, sustainable environmental management, indigenous groups, consumption, and globalization. 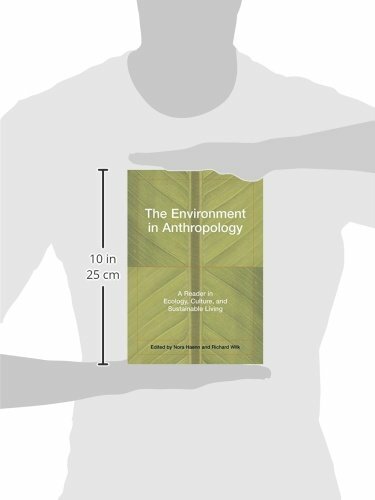 Balancing landmark essays with cutting-edge scholarship, bridging theory and practice, and offering suggestions for further reading and new directions for research, The Environment in Anthropology is the ideal introduction to a burgeoning field. 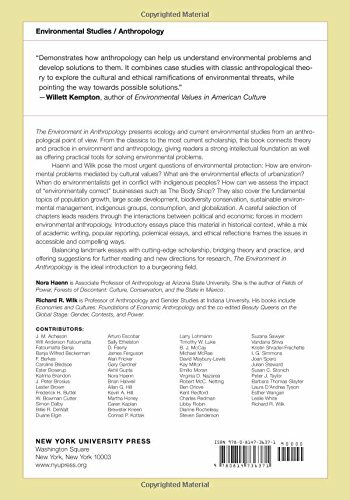 Contributors: J. Peter Brosius, Billie DeWalt, Arturo Escobar, Akhil Gupta, Caren Kaplan, Conrad Kottak, David Maybury-Lewis, B.J. McCay, Kay Milton, Virginia Nazarea, Robert Netting, Vandana Shiva, Julian Steward, and Susan C. Stonich.